PHRF start for the 71st Storm Trysail Club Block Island Race. Photo by Rick Bannerot. 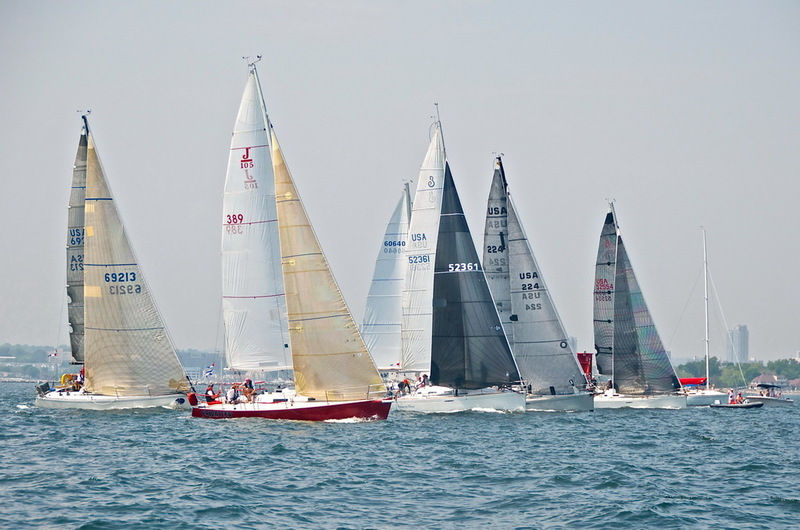 The 186 nautical mile race for IRC and PHRF boats is a Memorial Day weekend tradition that starts and finishes off Stamford, Conn., and takes a route around Block Island. This year’s 71st edition hosted ten classes, including an IRC and PHRF class each for double-handed crews, as well as a youth challenge competition. 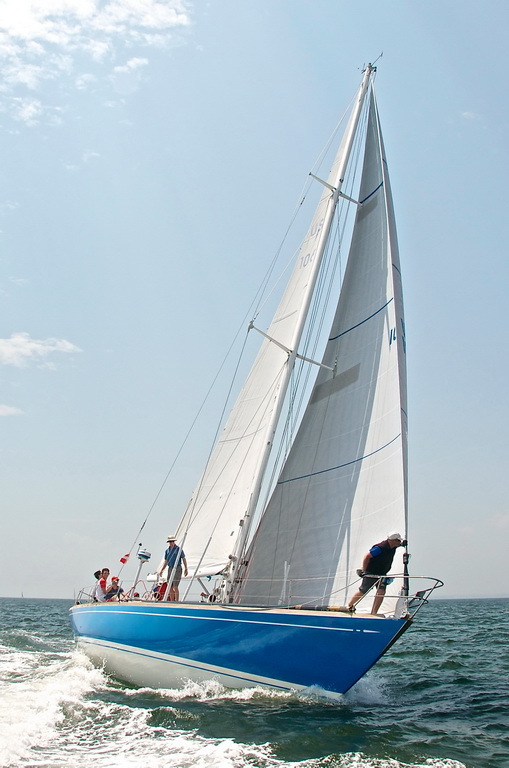 Mark Ellman (New York, N.Y), and his New Jersey crew Will Donnelan, won IRC Class 1 for IRC Double-Handed boats and turned in the best performance overall for the Gerold Abels Trophy, in their Morris 45 Next Boat. They started out with nice wind, then parked for three hours late in the afternoon when they were still in Long Island Sound. The Block Island Race was first held in 1946. It is a qualifier for the Northern Ocean Racing Trophy (IRC), the Double Handed Ocean Racing Trophy (IRC), the New England Lighthouse Series (PHRF), and the Gulf Stream Series (IRC). It is also a qualifier for the Caper, Sagola, and Windigo trophies awarded by the YRA of Long Island Sound and the Tuna Trophy for the best combined IRC scores in the Edlu (40%) and the Block Island Race (60%). The Tuna Trophy for this year was won by Storm Trysail Club’s Vice Commodore Lenny Sitar and Rear Commodore A.J. Evans on Vamp. For more information on the Storm Trysail Club Block Island Race, visit www.stormtrysail.org or contact The Storm Trysail Club (914) 834-8857. The Storm Trysail Club, reflecting in its name the sail to which sailors must shorten when facing severe adverse conditions, is one of the world’s most respected sailing clubs, with its membership comprised strictly of skilled blue water and ocean racing sailors. 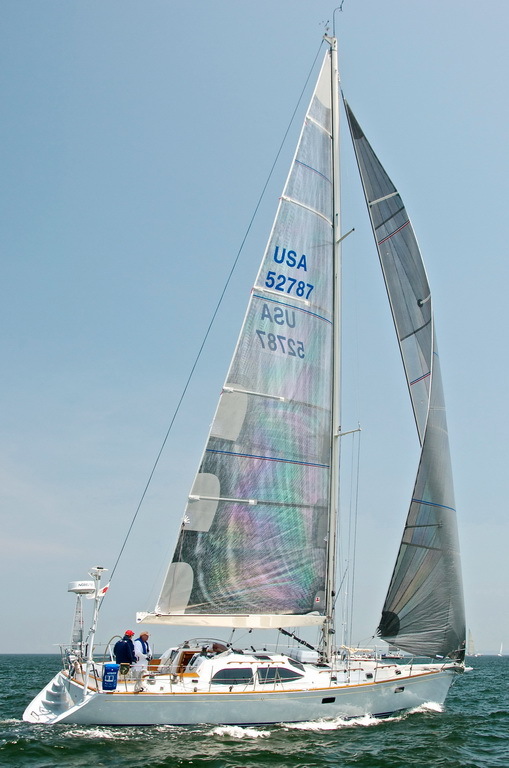 In addition to hosting Block Island Race Week in odd-numbered years and Key West Race Week annually, the club holds various prestigious offshore racing events (among them the annual Fort Lauderdale to Key West Race and the Pineapple Cup Montego Bay Race); annual junior safety-at-sea seminars; and the Intercollegiate Offshore Regatta for college sailors using big boats. For more information on the Storm Trysail Club and its events, including the Block Island Race, visit the official website www.stormtrysail.org.